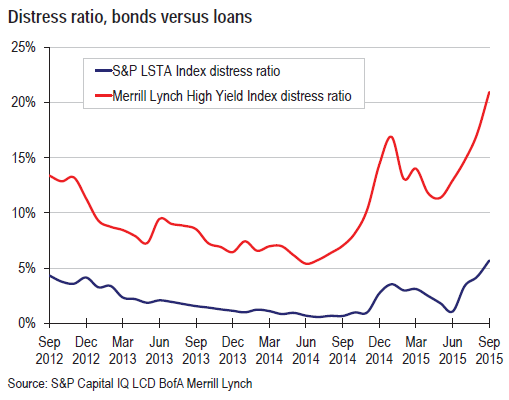 The toxic miasma of “distressed debt” is engulfing more and more junk bonds and leveraged loans. Back on September 24, Standard & Poor’s announced that the “distress ratio” for junk bonds, after rising since late last year, hit 15.7%. It was the worst level since December 2011. It was terrible. But now, the distress ratio for junk bonds has soared to 21%.